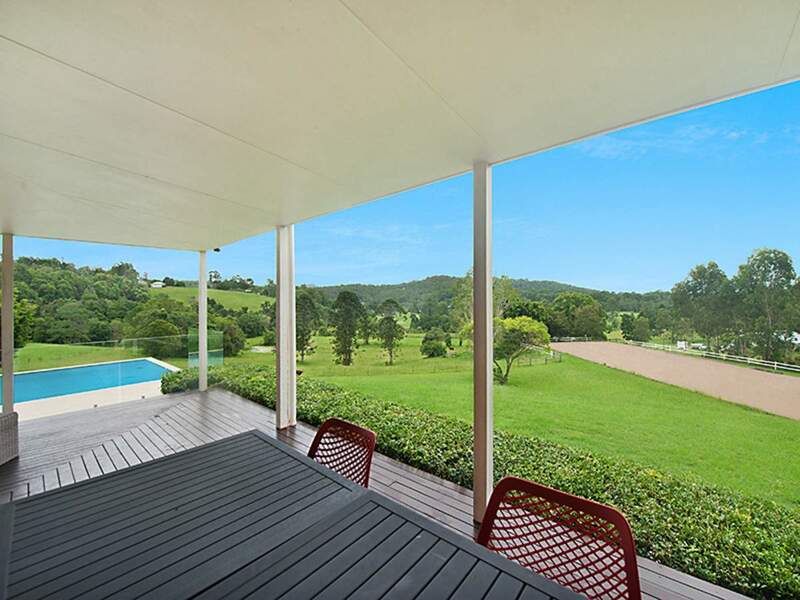 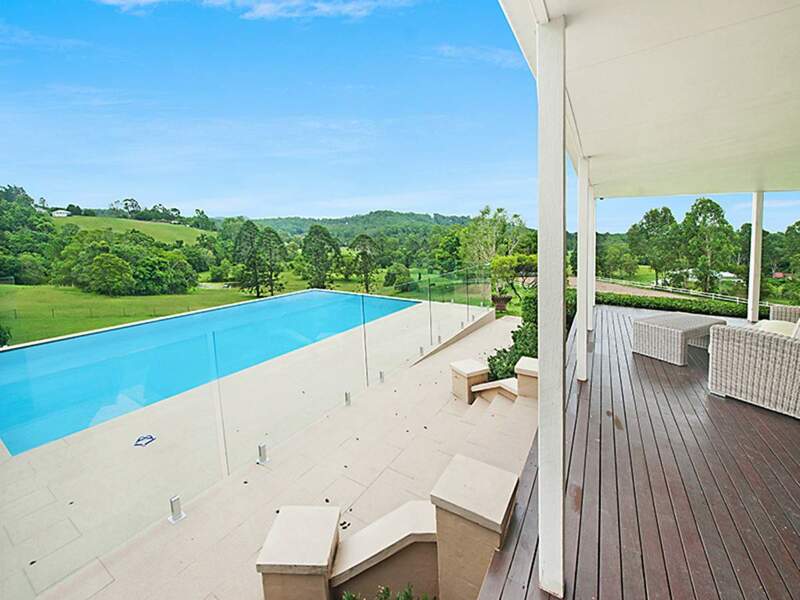 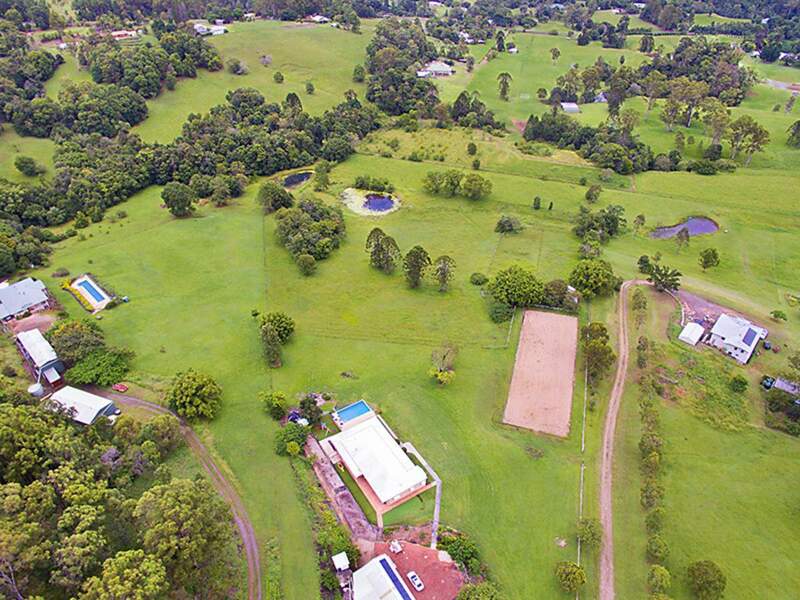 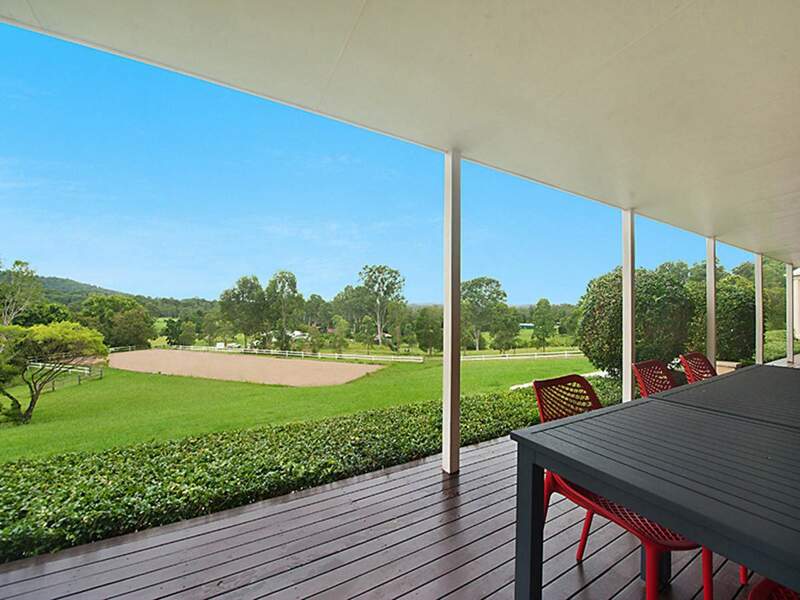 A picturesque tree-lined driveway sets the scene for this sensational equestrian property mere moments from Palmwoods village. 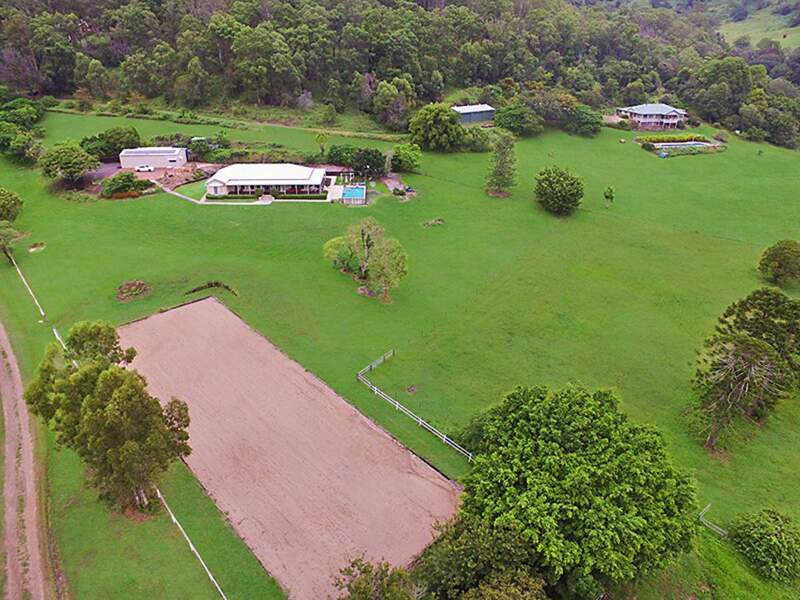 Occupying an peaceful landholding across 10 acres that encompasses lush rolling lawns, Olympic-sized sand dressage arena and paddocks, it represents pure tranquility away from the daily grind. 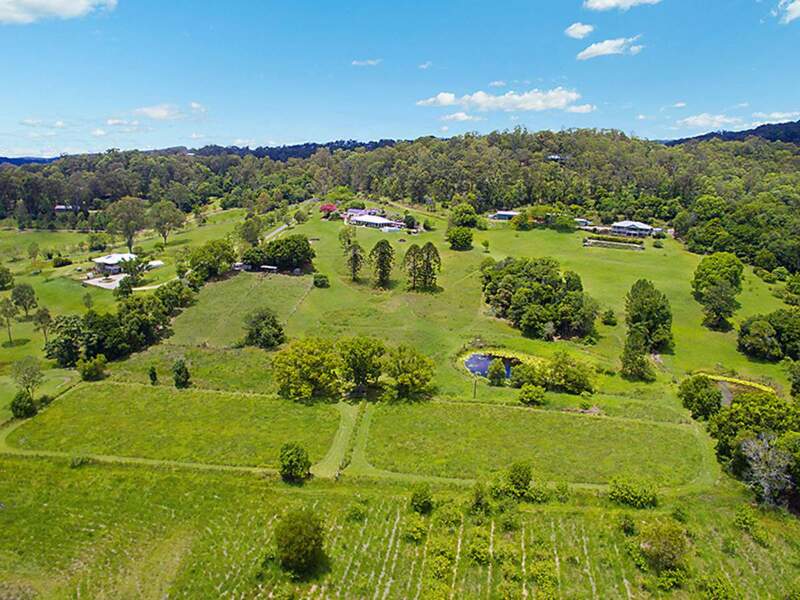 If horses are your passion or you simply seek a tree change with easy and convenient proximity to all the Coast activities and amenities, this is nothing short of an idyllic lifestyle to achieve just that. 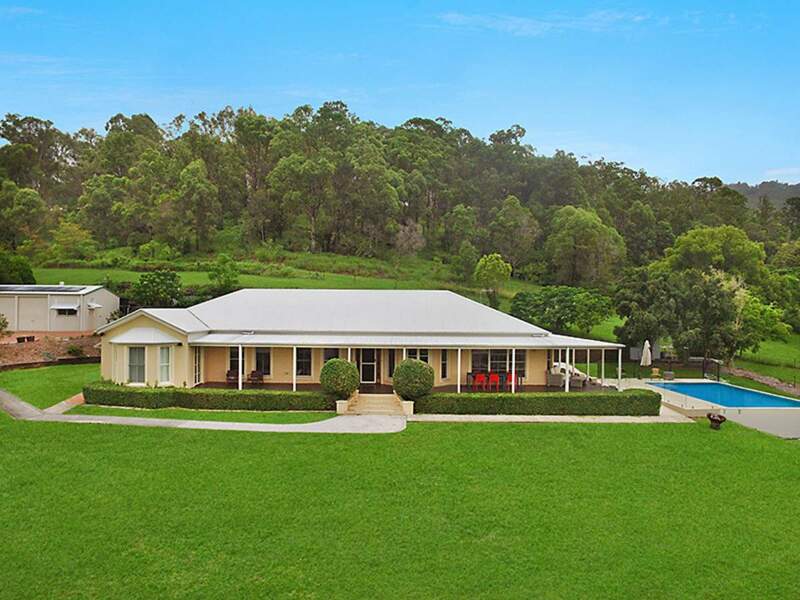 Commanding a perfect north-facing aspect this classic colonial-style residence with wide, breezy verandas has been perfectly placed to capture views of its valley setting from all the living areas including the newly-added pool. 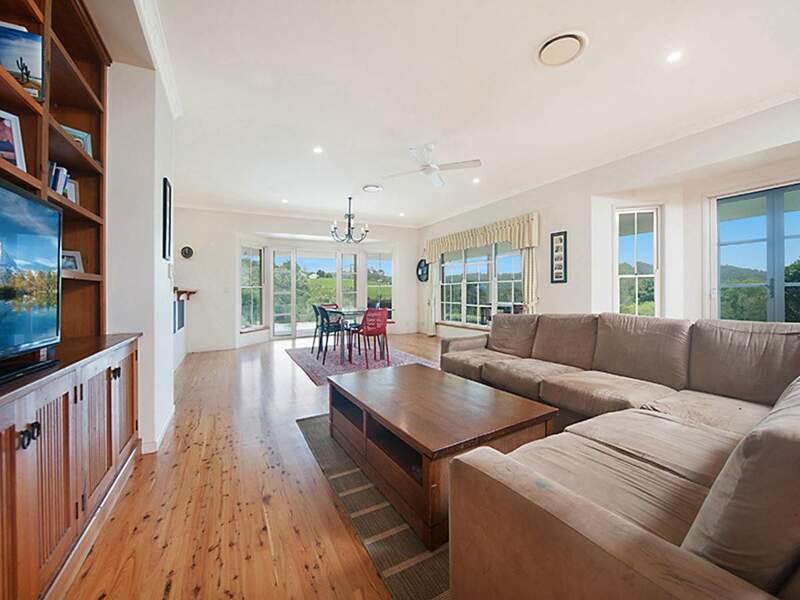 Featuring elegantly appointed, neutral interiors with soaring ceilings, classic French doors, bay windows and rich polished timber floors, the formal living and dining areas take in incredible rural outlooks from every window and opens directly onto the wrap-around verandas. 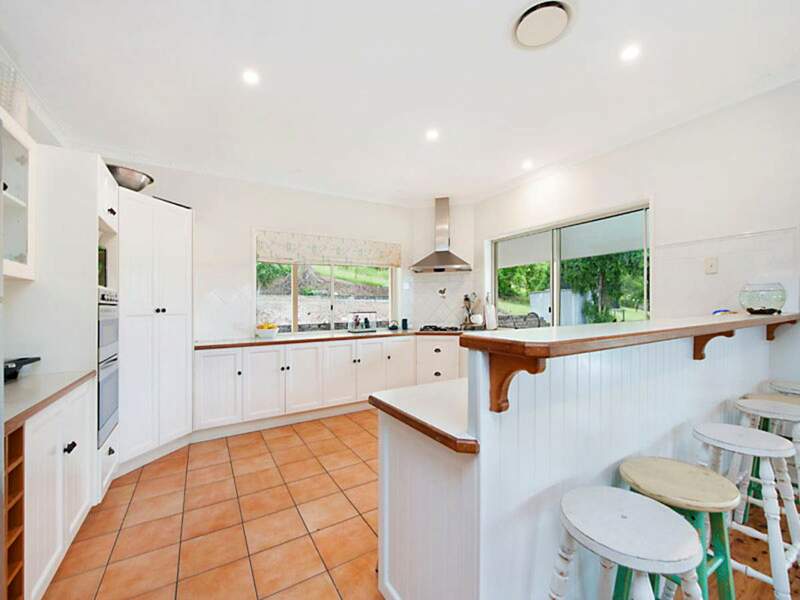 Adjoining the living spaces is the large, country-style kitchen with gas cooktop and abundant storage, a corner pantry, dishwasher and ample space for a central breakfast table or large chef’s block. 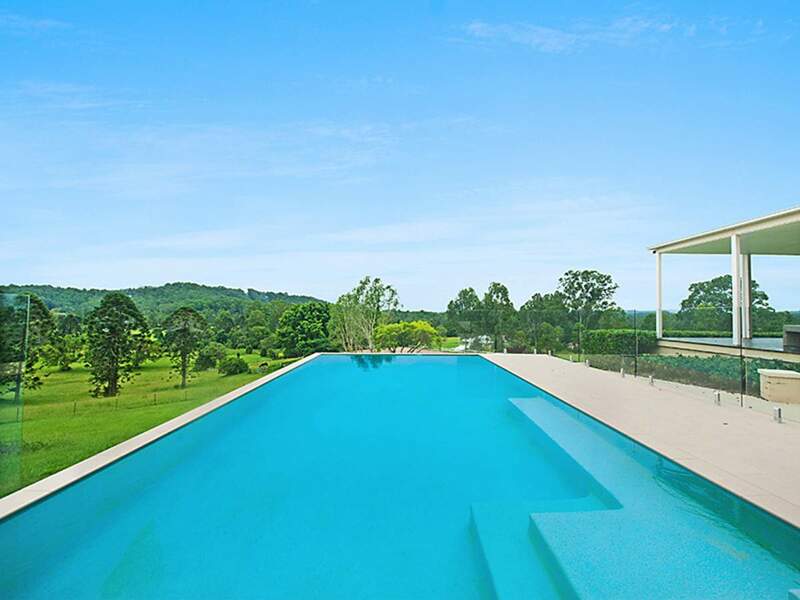 The newly-added pool is directly accessible from double doors off the living zone and is also positioned to capture the glorious views. 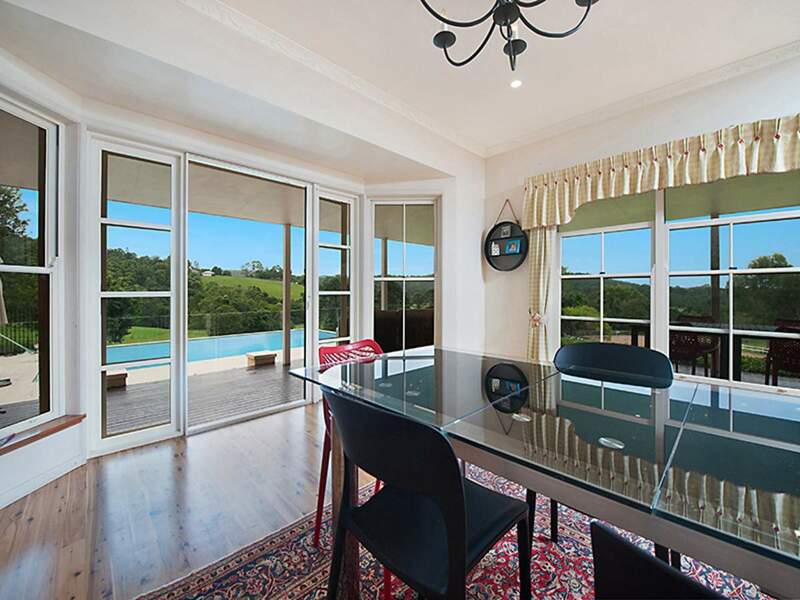 The four bedrooms of oversized proportions include a sumptuous master bedroom with bay window views across the property, newly updated spa ensuite, massive walk in robe and private veranda access. 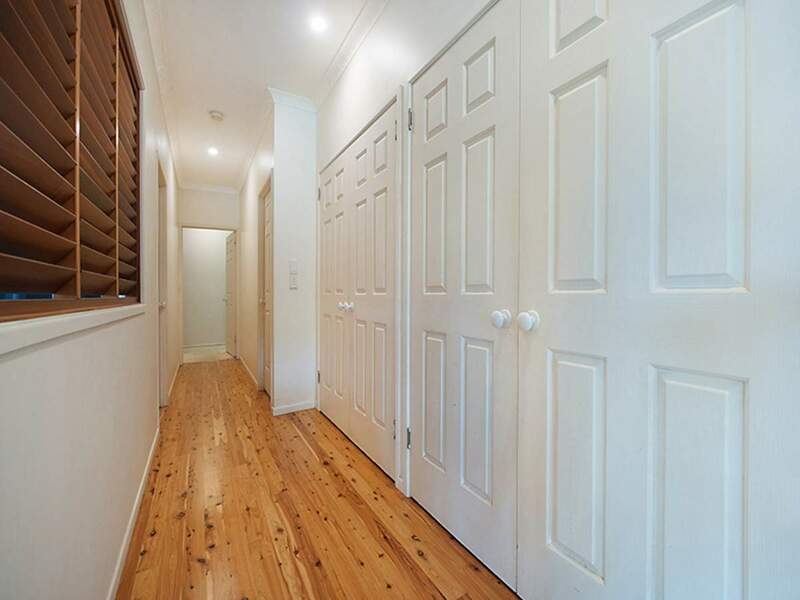 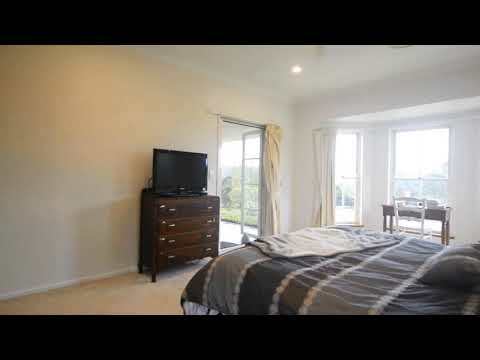 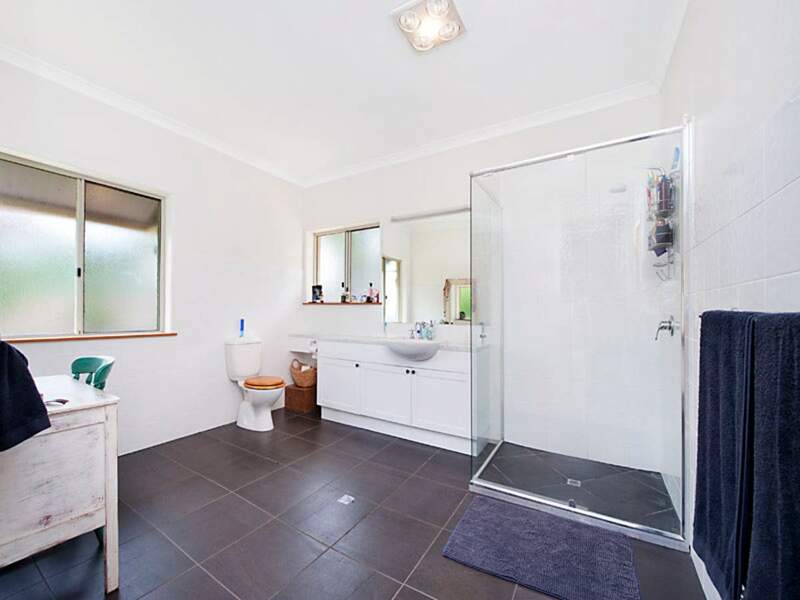 There is also spacious family bathroom, guest toilet and an office/study towards the entry that could easily be converted into a fifth bedroom. 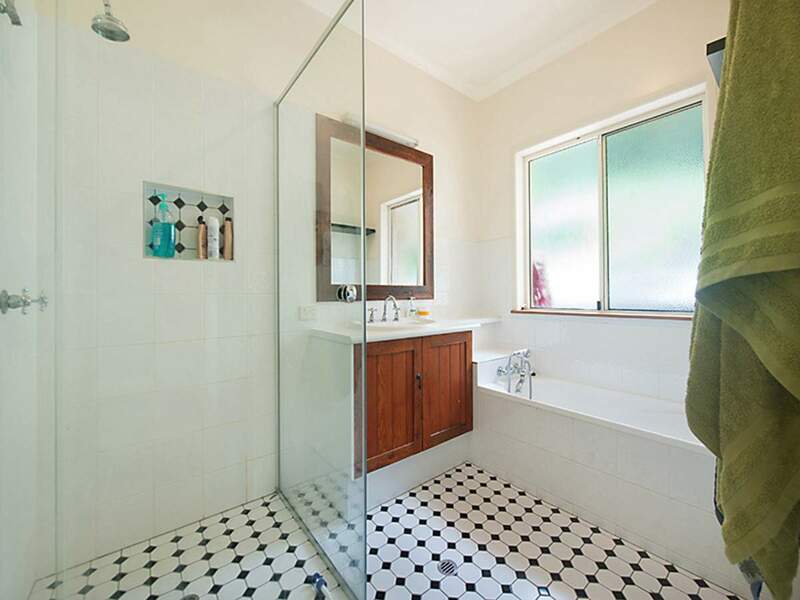 The home includes ducted and zoned air-conditioning and copious storage throughout, a spacious family bathroom with separate toilet and large laundry. 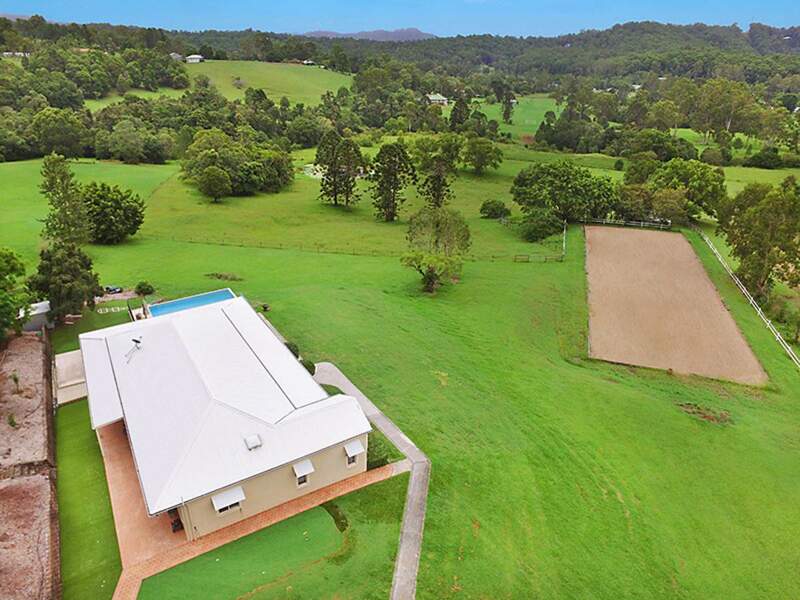 Completing the truly gorgeous setting are a tack shed and several paddocks, a spring fed dam, 35,000l tanks, 3,5kw solar plus a 4-bay shed with 3-phase power and a substantial, covered storage/parking area. 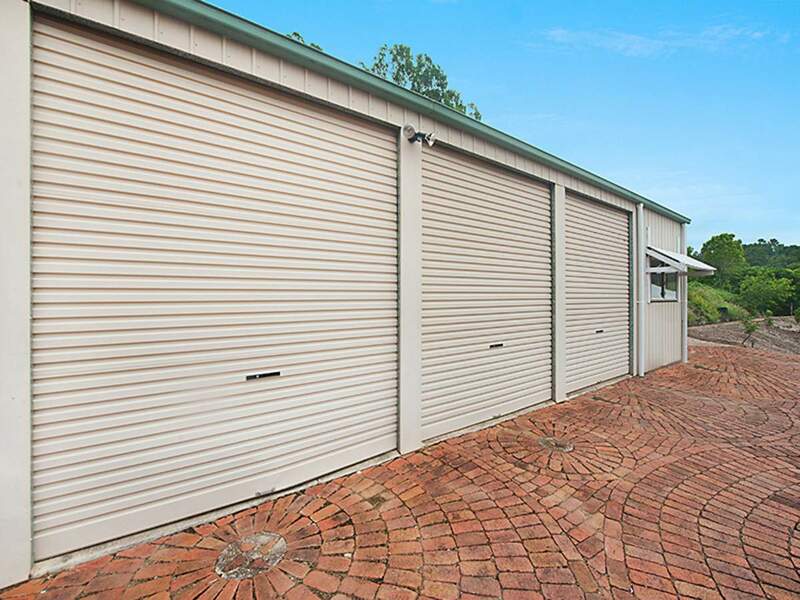 A section of the shed has been enclosed to create a large office ideal for home business. 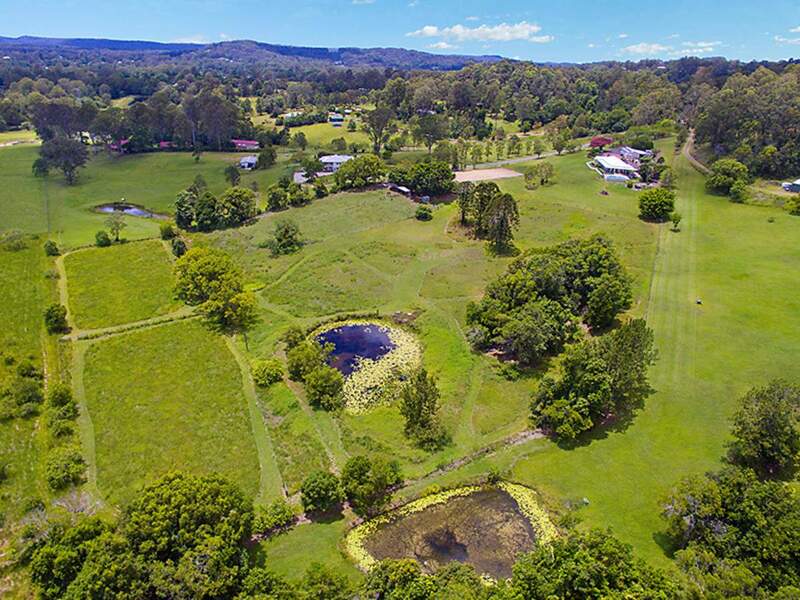 If horses are your passion or you simply seek a tree change with easy and convenient proximity to all the Coast activities and amenities, this is nothing short of an idyllic lifestyle to achieve just that.